I’m glad college has exposed me to types of books I haven’t tried to before. Turns out I like them a lot! This has been quite a thought-provoking summer. “Brave New World” and “Nineteen Eighty-four” are two readings for my first class at Stanford, “Technological Visions of Utopia” – two books that lead me to read other titles from the same author. The only ‘holiday task’ from Stanford is reading one short story and two books, namely “Strength in What Remains” and “The Spirit Catches You and You Fall Down“. We will have discussion with the authors at Orientation. 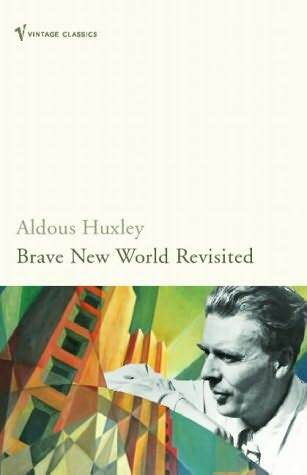 “Brave New World Revisited” is up first. Reading through the first chapters left me astonished – Aldous Huxley’s intellects shine through every pages; how he thinks of different things and put together all things, how he puts the often-overlooked things in words. In this book, he reexamined the dystopian predictions he made in “Brave New World” (released 30 years before), on several aspects: (1) overpopulation, (2) quantity, quality and morality, (3) over-organization, (4) propaganda, (5) arts of selling (6) brainwashing (7) chemical persuasion (8) hypnopaedia. The first half of the book is the highlight, as he presents the irony of advancing medicine that actually lowers general standard of living, that in turn encourages dictatorship, and the “Will to Order” that exists both in science and in dictatorships. Tracy Kidder seems downplaying emotions and takes a rather cold jurnalistic approach to ”Strength in What Remains” – he seems confident that the story itself is strong and emotional enough that it doesn’t need an extra cheese. He’s right. The story of Deogratias, a Burundian Civil War refugee who ends up with no friends, without speaking English, in New York, is such a moving story about pertinacity human kindness. After struggling hard, he found help from strangers around him, worked his way up to Columbia University and returned to build clinics for his hometown. It shows glimpses of a life as a Burundian – the war, the people, the culture, and how it shapes Deo as a person. I would love to see Kidder delves more into the historical part of Hutu-Tutsi though. Anne Fadiman’s “The Spirit Catches You and You Fall Down” opens my eyes to a whole new level of cultural understanding. This book follows Lia Lee, an epileptic Hmong baby girl, and the culture clash between her Hmong parents and her American doctors. “Spirit” alternates between Lia’s story and the history of Hmong, giving a complete picture of the Hmong’s train of thought often misunderstood by the West. Highly recommended especially to doctors. 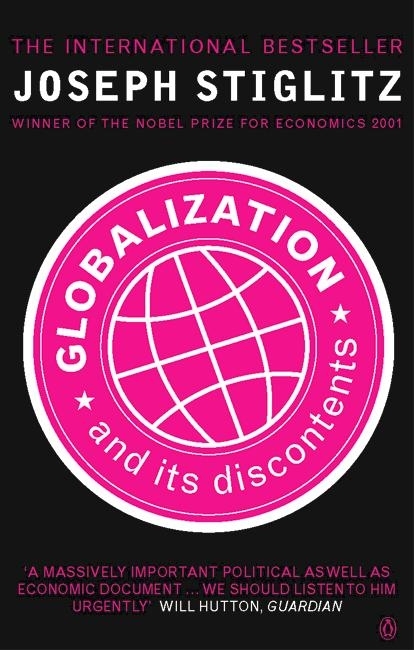 I’m currently still reading Joseph Stiglitz’s “Globalization and its Discontents“, which is the first economic book I read (Robert Kiyosaki doesn’t count). The book reveals the principle and workings inside the IMF – how the organization forms and differentiates policies to developing countries (they don’t. they have single-recipe for everyone), how certain countries’ political motives affect those policies, and how it forces weak countries to welcome capitalism. This book is really eye-opening so far. Given that IMF policies to Indonesia seemed to throw us to a deeper hole, I feel a connection to this book and its topic. I reread “In Hitler’s Bunker” this summer after watching BBC documentary of Nuremberg Trials. This is a personal account of Armin Lehmann, a young carrier who spends the last days of World War II in Fuhrer’s Bunker. It’s interesting to see how strongly Hitler influences the Germans – it’s hard to believe that despite the war’s falling apart, they still have faith in Hitler and his ideology and perceive their side as the right one. Through this book we are ‘invited’ to see Hitler’s inner circle at the end of the war – his meltdown, his lack of trust to his generals, his marriage to Eva Braun, Goebbels family’s death and his suicide. More than that, though, it shows war in the eyes of a young soldier, sacrifices and suffering that people endured for the ideology of one person. I read Animal Farm 2 years ago for my Literature subject. I have to say it depicts perfectly how Stalinism fell, but somehow fails to mention the good part it brought for the Russians at that time. Stalin introduced many new policies; one of them the collectivisation ; which helped to improve the standard of living , as compared to the Tsar’s time. However, the price to pay was the use of propaganda and fear in governing the people. Stalin’s downfall, in my personal opinion, was his ambition to fight the West (USA and her allies) during the Cold War. The Berlin Blockade, was recognized as the utmost humiliation for Stalin and he did not make any more public appearance after the failure until he was replaced by Nikita Khrushchev. Hence, I think that Orwell’s book represents only 1 part of many aspects of Stalinism, although I do admit it is an intriguing book to read. Your review on other books, especially the “Globalization and its Discontents”, is very interesting and well-summarized. I am now very intrigued about IMF and Indonesia. totally agree. indonesia education system only talks about the importance of reading, but in its practice, reading task has never been given..